Although Tom Clancy's The Division game should be launched this year (so far its release date hasn’t been delayed), but there hasn’t been any new information about this RPG for a long time. And that is why the project’s developer has decided to remind us about it and has published new The Division pictures and has also told some news about the upcoming game. Thus, fresh The Division screenshot and concept art show us the power of the new engine, entitled Snowdrop, which Ubisoft has specifically developed for Tom Clancy's The Division game. On the concept art posted below, you can see the play of light and darkness - the lighting function in action, which, judging by the pictures and videos shown earlier, has not only be of the highest quality, but also interact with changes in the surrounding world. In addition, the second picture demonstrates us the day and night alternation. This image shows us two men, who are traveling on icy roads (obviously from the Strategic Homeland Division) against the sunset. 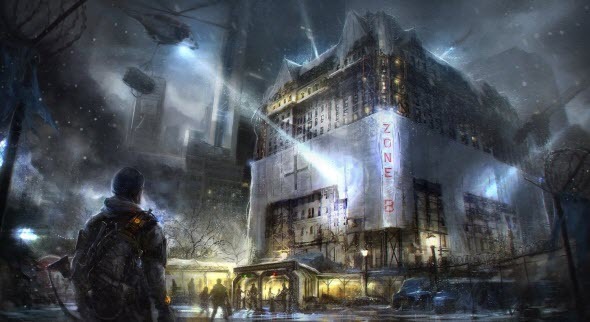 We could tell a lot about the power of the new engine, but seeing is believing, so we suggest you looking at fresh The Division screenshot ans concept art and write in the comments below what you think about them and the game in general. 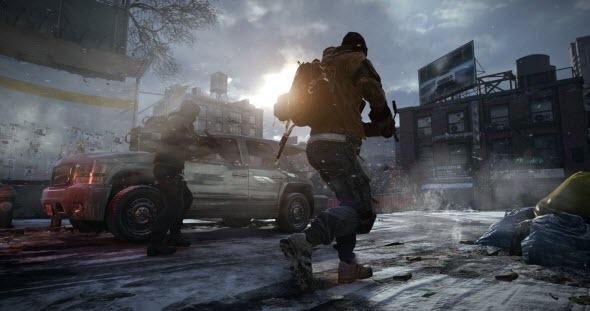 In addition, yesterday Ubisoft’s employee said that Tom Clancy's The Division game would require a permanent online connection, if a player wants to use all available functions in the project, whether it is a traveling through the destroyed New York or anything else. Let us recall you that Tom Clancy's The Division game should to be released later this year for PC and next-gen consoles. The Division: news, updates and PROMO! Tom Clancy’s The Division: are you ready?